I’m finalizing plans for my yearly Austria tour. This year will have a special theme of Exploring Midlife and I am thrilled to announce that I have invited a special guest to join our tour. This is the first of my themed tours and I’m so excited. 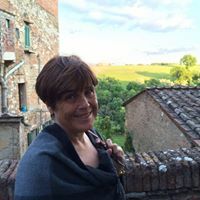 Dr. Heather Browne, a published poet, writer, and clinical psychotherapist will join the tour and guide us along our travels through the theme of The Exploration of Mid Life: Learning to Love and Honor the Life that You Have Now. Mid Life brings the wisdom of experience in health, relationships, and purpose. Whether you are married, divorced, widowed, single, kids grown, or kids just about to launch, this is a unique time. Our needs are changing, how we are needed is changing, and what we choose to do now to create a vital life of experience can allow this to be a rich time of consideration and decision. We will engage in journaling and poetry writing as a way of self- expression, awareness, and exploration. Each of you will be given the gift of a special travel journal as a remembrance of your travels and our time celebrating and pampering you. Travel changes you. It removes you from the distractions of everyday life and allows you to reflect on your life as you absorb the beauty, history, culture, and the sites around you. It is a perfect time to heal, connect, learn, or move through a life transition. Dr. Heather Browne will share how to express yourself through writing and poetry. Dr, Browne will lead 2 one hour group sessions. Plus each traveler will receive a private consultation with Dr. Browne to explore your writing or to ask Dr. Browne any questions that you may have about this time in your life journey. 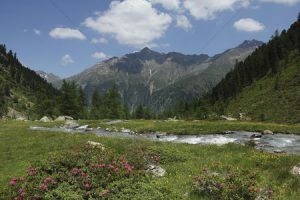 We look forward to enjoying the beauty of Austria and to celebrating midlife with you! 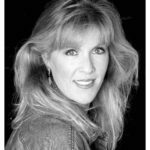 Heather M. Browne, LMFT and PsyD is a faith-based psychotherapist who has practiced in Southern California for over 20 years. She is the relationship expert on KDOC television (on hiatus), a New Life Ministries traveling counselor, retreat and seminar speaker, and Lifeline educational consultant. She is an accomplished poet, was nominated for the Pushcart Award, published in Lost Coast Review, Lake, the Orange Room, Boston Literary Review, Page & Spine, Eunoia Review, Poetry Quarterly, The Poetry Bus, Red Fez, The Muse, An International Journal of Poetry, Deep Water Literary Journal, Electric Windmill, Maelstrom, Apeiron, mad swirl, Knot, Dual Coast and many more. Her chapbook, We Look for Magic and Feed the Hungry has been published by MCI. She won the Nantucket Poetry Competition in 2014, and a semi-finalist in Casey Shay chapbook competition. Red Dashboard released her first collection, Directions of Folding. She broke into Non-fiction writing and has been published in Life + Light, Psychology Today, and Focus on the Family. She is widowed from her love of 24 years and lives with her 2 amazing teens, and can be found frolicking in the waves of Southern California. Wow! What a great life! I spent most of midlife divorced and unemployed! Thank you, I do enjoy my life here. I saw your blog and I am interested in checking it out! Thank you for being encouraging about my business. It really my is my passion! I have read recently that you should write the book you want to read, paint the painting you love to look at . . . so I create tours that I want to go on!!! What an exciting tour and also that you’ve been living in Austria. Can’t wait to hear about it. 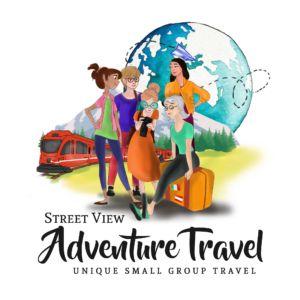 This looks like a great site and what a wonderful idea to combine travel, culture and self reflection. Let me know if you ever decide to tour Switzerland where I have lived for the past 20 years. Switzerland is on my list of places to put together a tour! My husband is currently working in Zug and commutes back and forth from there to Innsbruck. Where in Switzerland did you live? Do you miss living there? Where are you living now? 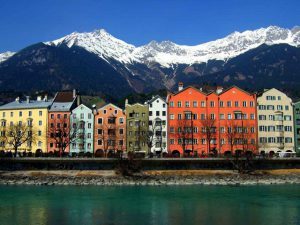 How beautiful, one day I’ll travel to Austria and more. For now, I’m reinventing my business identity and have changed industries at age 61. Life has only just begun. Hi Carla! Yes, the second act is just beginning! I am only a couple of years behind you!I would love to have you come and travel with me in the future! Great blog, travel is a wonderful outlet! Thank you! Travel is a wonderful way to get a new perspective on life and to take time to be grateful and enjoy! Oh, how fun! It looks so beautiful and to learn new things makes it even better! Yes, we have a lot of fun! Life long learning is what it is all about! Looking forward to your posts after your tour. Sounds great! I will share all about it! This sounds like an amazing trip! I’m finding midlife to be an adventure in itself, and a great time to travel. I agree that this is a great time to travel in life! A great time to bond with other women and experience travel! I love the theme! Can’t wait to read all about your midlife adventure! Thanks Sandra! I will write a blog post all about it!